Use the starter kit to relieve tension from a small tweak or strain and prevent it from turning into something worse. 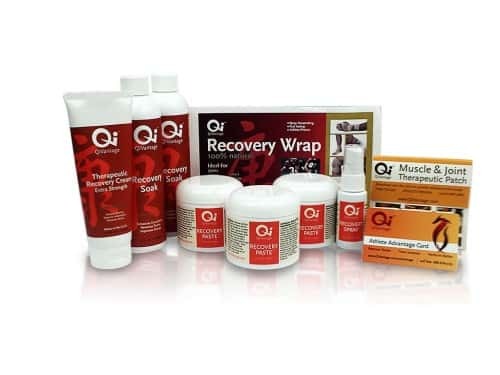 This kit gives you the tools to quickly eliminate muscle or joint tweaks and prevent them from turning into a lingering injury. 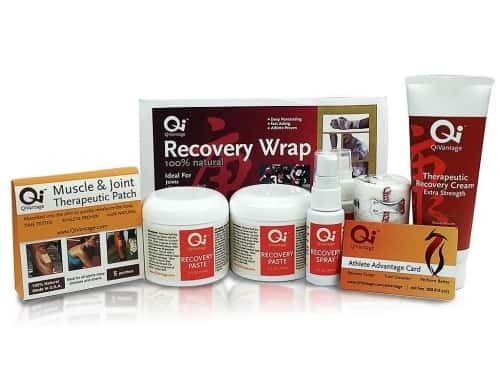 The Injury Recovery Starter Kit includes a 5 pack of Muscle and Joint Therapeutic Patches plus one tube of the Therapeutic Recovery Cream – Extra Strength. These all natural, externally applied products are made using safeguarded formulas from East Asia that have been refined through the centuries to help promote the body’s natural healing ability. Each patch gives you 12 hours of continuous therapy helping to reduce swelling, remove toxins, and increase circulation. In turn, the body efficiently brings oxygen and nutrients to injured tissue and removes harmful waste products. Use the Therapeutic Recovery Cream to assist this process and continue protecting the tweaked area long after you have finished using the patches. 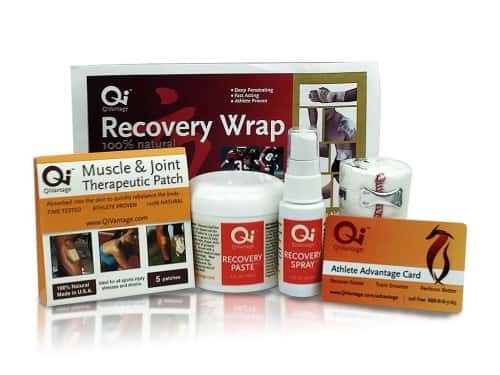 In addition, you will receive FREE access to QiVantage’s Athlete Advantage website. Here you will find specific exercises to strengthen the area to prevent future injury. The following is a suggested protocol for the starter kit. The order of events outlined here is our suggestion, but you can alter it based on your circumstances and schedule. 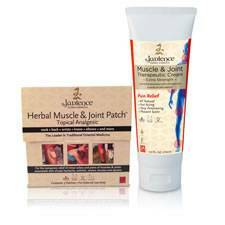 Apply the first Muscle and Joint patch. Wear for 12 hours then remove. Can be worn anytime that is convenient. Apply the second Muscle and Joint patch. Again wear for 12 hours then remove. You can also rub the Recovery Cream around the patch or after you take it off for the day. Continue to apply patches until the injured area feels better. Use the Recovery Cream before and after any exercises you do if you don’t have a patch on. Continue to use the cream on the area for the next few weeks to ensure a complete recovery. During the recovery process, it is good to do some light stretching as long as it isn’t painful. Once you begin to regain mobility and pain lessens, begin developing strength. Visit the Athlete Advantage website, to find specific movements to help build the range of motion and strength. 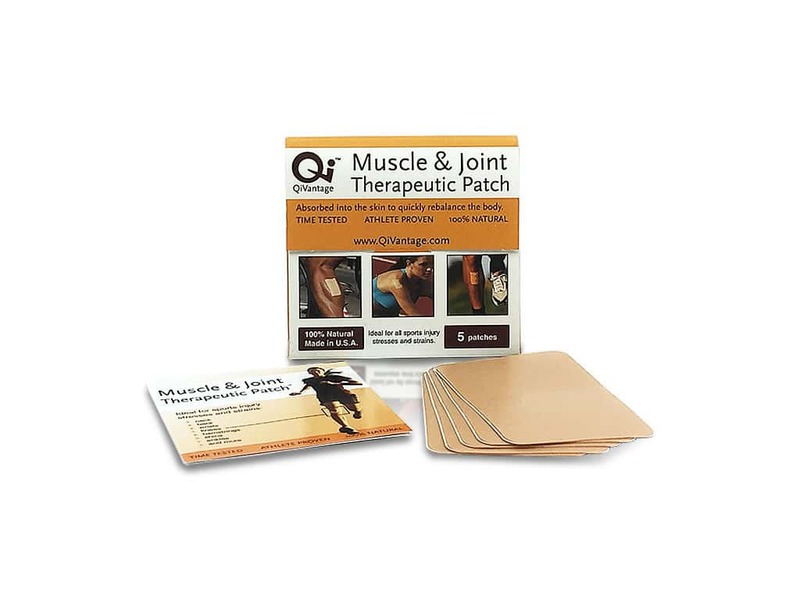 Muscle and Joint Therapeutic Patches (5 pack). 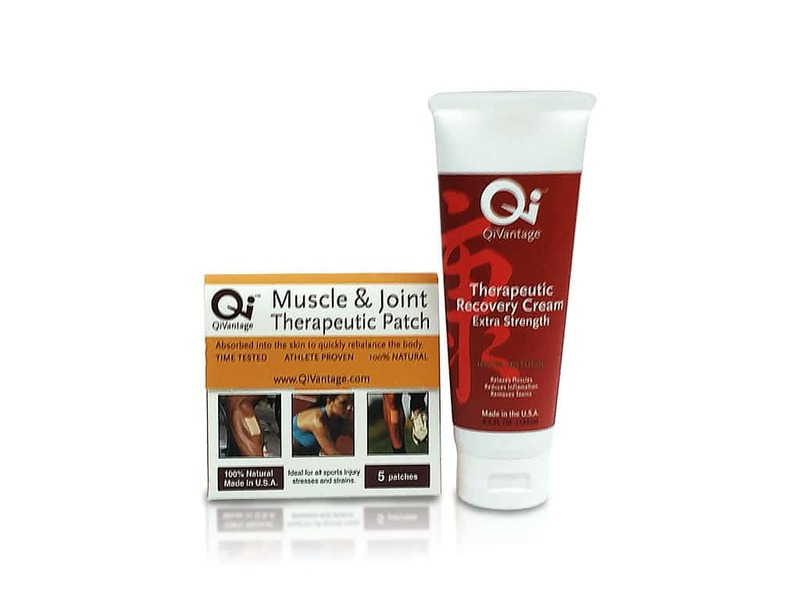 Apply the self-stick patch to the tweaked muscle or joint for 12 hours of continuous therapy. 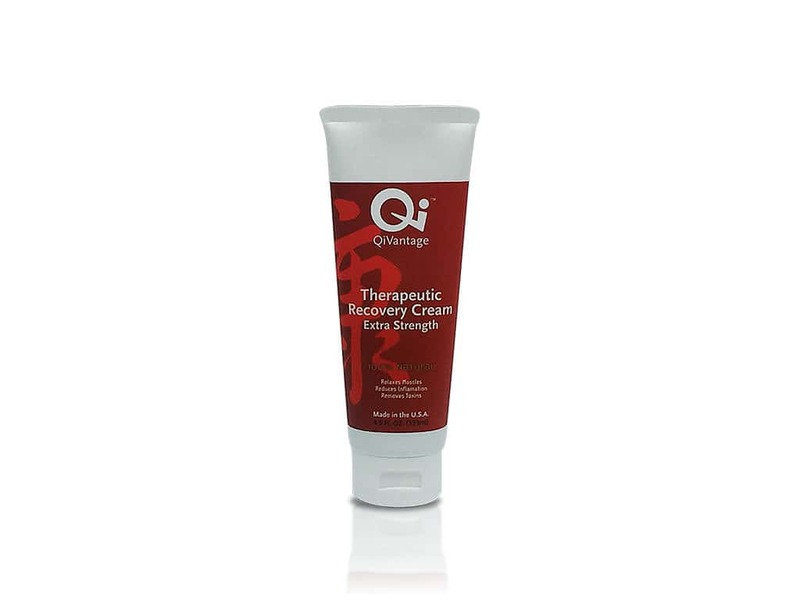 1 Therapeutic Recovery Cream – Extra Strength (4.5 ounces). Rub on anytime to assist the healing and recovery process. FREE access to QiVantage’s Athlete Advantage website.